Friends: The Facebook Newsroom announced that they're rolling out the ability to donate to nonprofits via Facebook! This is HUGE! We want nonprofit teams to succeed. If you know of any non-profit organizations that need help creating or strengthening their Social Media, Facebook and online presence, share this blog post. 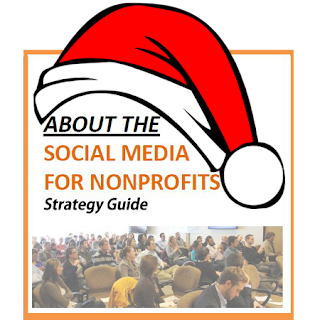 We have developed the Social Media Strategy Guide for Non-Profits! Now through Dec 31st, it is sold at a discounted price of $199 and includes 2 free hours of consulting. 2. 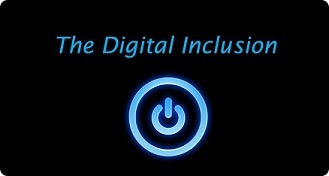 Send us an email to info@thedigitalinclusion.com and we will give any nonprofit a $200/mo. rate for online marketing for 6 months! We know how to succeed online, and we want non-profits to be successful, so if you know of any nonprofits that can benefit, please share these news! As technology nerds many of us want the newest shiniest product, be it an app, software or hardware. It's excellent to be an early adopter because it's cool and you can brag about being one of the first. It's not so great being an early adopter and finding where all the glitches are - at the expense of much frustration, wasted time and worse, lost data. So as a rule of thumb, new platforms are cool and 'safe' to jump on as early adopters. Being the first to poke around Vine, or the next fun app around the corner won't impact your ability to function successfully or get in your way of moving on with business as usual. Worst case scenerio when trying out a new apps is that you create a profile, invest an afternoon, and it becomes an empty room, like Google+. New hardware and software will require, two things, proper installation - such as backing up your current hardware, preparing for a worst case scenario - and time invested in research to find out what are the benefits, and glitches with the newest shiniest product. It is best not to jump on as an early adopter for software and hardware. Wait until all the glitches are worked out and not on your dime. Online Effectiveness – Cut disruptions and still enjoy it all! A ping goes off on your phone – you think it’s important but it’s a notification about a 15% Independence Day deal in your inbox. Not important - enough – but now it’s interrupted your flow. You’re now reading your email and see a notification from LinkedIn. What’s LinkedIn anyway? You’ve heard it’s important to network on this professional platform, but you don’t have the time. While you cleverly hack into your existing LinkedIn account you find an interesting article to read – actually 5, one which you really want to share but most of the friends are not online now so you leave the tab open. Suddenly 20 minutes of your day are gone, and you can’t account for them. If any of this sounds familiar – it’s because it happens to us all. Below are four of my favorite FREE tools that I use daily to address a few of these issues as an individual and they help a lot in the work that I do. I’m not related to any of these companies yet their existence has streamlined mine! The One ‘But’: Okay two. This only works with Gmail and Yahoo. Also, sometimes subscriptions are more important to you than others, and if you forgot this during set up, you won’t notice it until you’ve missed an email. Basecamp and other project management platform emails tend to fall in this category. So, if you don’t mind adjusting the settings at the beginning a few times, then you’ll love this. Pocket: Stumble across any awesome link on the internet and read it later -in fact this app was originally called ReadItLater. Sign up online at http://getpocket.com, add the extension to a chrome browser and add the applications to your mobile devices and then you can easily right click on a link anywhere online and it will be saved to your reading list for when you have some downtime and nothing interesting to read. The Good: Pocket syncs across all devices and it works beautifully with other applications including FlipBoard, and Twitter. Also, you can add tags for categorization purposes if you have the inclination. The One ‘But’: So far no complaints about this app – except I don’t have enough hours in the day to read all the content I save! No easy fix there! Buffer: Create a buffer account at http://bufferapp.com/ and schedule content to be posted on your chosen social network platform(s) at a time when it will have the greatest impact. The Good: It’s easy, it’s a web app, an extension and it integrates with many other applications. Buffer is a good tool for personal and business purposes and even has analytics and scheduling options if you want content to go out at a specific time. The One ‘But’: The free plan only allows you up to 10 updates at a time to each profile linked to your account and only allows you to connect 3 accounts. The paid account is $19/mo and allows unlimited updates. Most individuals should be fine with a free account. Rapportive: For the type of work that I do, and the extroverted person that I am, Rapportive is my favorite app of all time. Go to http://rapportive.com/. Simply add it to your email account(s) and set up your profile including your Facebook, Twitter, LinkedIn and other social media contacts, then when you send or receive an email Rapportive will show you a card on the right hand side with the new contact’s picture, and the option to connect with them on any social media that they have. All you do is click, Friend, Connect, or Follow. Once they are your connections when you correspond with them, you see their most recent posts in the same contact box! The Good: Makes connecting very easy – and once you get in the habit, it’s no longer a chore. I recently heard Nita Song say at the Santa Barbara Latina’s Network that ‘Your network, determines your net worth.” So, get to it. The One ‘But’: Only works with Gmail. — Olivia Uribe is the owner of The Digital Inclusion, a Santa Barbara-based online media management company for businesses and nonprofit organizations. She recently released a 60-page Social Media For Nonprofits: Strategy Guide. Click here to purchase it online. The vast majority of people use phones, either landlines or cell phones - worldwide, over 5 billion of people use mobile phones - sometimes both. Additionally, many of those that use mobile phones,text message. Most of us using computers nowadays use email -1.9 billion worldwide. 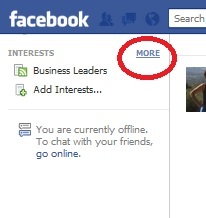 More than 500 million people are on Facebook (about 250 million, use it actively.) Skype has 560 million users - and then there are other networks like Linkedin with 70 million people - and countless of websites, and services with inbound messaging capabilities (i.e. Twitter @messages, and DMs). So when someone asks you to contact them, or they contact you, how do you know which medium is the best to get a hold of them? While there is no "rule", the logic behind making a connection with someone new - who is obviously not on your speed dial, is to do it as least intrusively as possible. First you gather as much contact information as possible. If you can only find one type of contact information - say a Linkedin introduction request, then you do that. Easy, since there aren't a lot of options, but if you have plenty of information, the least intrusive is best, namely email. Email serves as a good introduction platform, since you can say as much about yourself and your purposing in contacting someone, so that when they go back to it, to contact you, they have the necessary information about you and correct prompts and reminders about the purpose of your business together. The next line of contact is a business phone number, then any other phone number and really for professional purposes you should not really text someone initially, since it's intrusive, and easy to ignore. For personal business, it might be equally ignored and intrusive, but hey, that one is up to you. The latter question about how to contact someone back has an easy response, but is a rule that seems really difficult for people to follow. Both in business life and in personal life, if people can learn and share this rule, communications will be improved exponentially. The rule of thumb to contact people back is to do it in the same medium they contacted you, unless stated otherwise. If you receive an email, and business is left pending, you will email them back every time, unless stated otherwise, "after you read this, please give me a call", or "when you have that information, please skype it to me," or "oh yes, I know them, I'll introduce you to Joe Smith on LinkedIn." Why is that the case? They say effective communication has to do with the ability to "meet people where they are at," often this is meant in terms of outlook and perspective, but first of all you need to do so pragmatically. If they emailed you it's probably because that's either the most effective or convenient form of communication for them, so in order to establish a good starting point, meeting the other party on the same platform is key. Besides, it's in your best interest that they are receptive to you and paying attention. It behooves you to be aware of people's capabilities and have reasonable expectations and adapt when necessary. In my personal life, I do not enjoy talking on the phone, which does not at all mean I don't absolutely enjoy time well spent with family and friend and talking with them face to face, yet I'll try to schedule time with them usually via a short, short text. 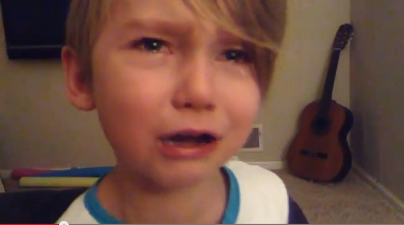 "Lunch tomorrow? where?" However, my grandmother doesn't text and my family members in other countries don't text and I can't meet them, so I make an effort to call them. Sure I'm not a fan of the phone, but it's all they can do, and if I don't adapt, then I lose out. Right? Is it possible to switch platforms to something more convenient for YOU rather than the way you were first contacted? Sure, just say so in a reply in the original platform. I do it all the time! "@thedigitalinc, what's your email address? I'll send you a longer message shortly" or "I'm going to be running around today, it's easier for me to call you, what's the best number and time to reach you at?" We live in days where come 8 AM almost every morning, we invariably get inundated with emails, Skype messages, Facebook messages, pop up chats in Email, and Twitter replies; how else are we going to be able to keep the communication flowing if we don't follow some sort of communication rules? 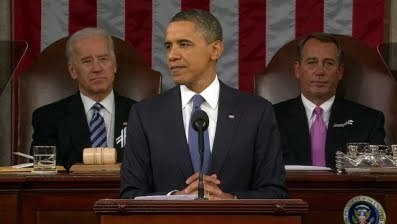 Last night, President Obama gave the traditional State of the Union Address to the nation.The president addressed the nation in regard to jobs, the budget and foreign policy. We were pleasantly surprised to hear about new usage of technology and communication that is planned by the white house, his commitment to expand wireless coverage and most importantly his focus on investment in technology. His first mention of new usage of the internet by the white house was mentioned as a way to improve transparency. The single most important statements dedicated to a future goal dealt with high-speed wireless coverage. While the shout out to Google and Facebook was a sign of the times, it really was his repeated focus on innovation and our potential to do more that we found most valuable. We are the nation that put cars in driveways and computers in offices; the nation of Edison and the Wright brothers; of Google and Facebook. In America, innovation doesn’t just change our lives. It’s how we make a living. One interesting place where he left the talk of online integration was in education, which for us, seems like a wasted opportunity. We know that investment and innovation are not cheap. While President Obama's vision for America is a grand one, whether or not Congress and the Senate will approve a budget to work with him to see this vision through is still to be seen. The Future: E-book, books, bookstores, libraries, publishing companies, and authors. As part of our work, we remain on top of trends and changes in technology and how they affect our culture. The biggest change recently to affect many is that of the Electronic books and online sells. In Santa Barbara, CA in one month the tourist town lost two large bookstores, a Borders and a Barnes and Nobles that almost were kitty corner from each other. This raises many more questions about the future than it does answers. We wonder what will be of the future of books, of e-books, of bookstores and libraries. What of publishing companies? Will they still be around, will they become more or less important. What about for writers, what will they have to do to get attention and their books, or e-books published? E-books are clearly on the rise. The week after the Holidays, USA Today, reported that E-books for the first time outsold print books. Of its list of best sellers, "E-book versions of the top six books outsold the print versions last week. And of the top 50, 19 had higher e-book than print sales." 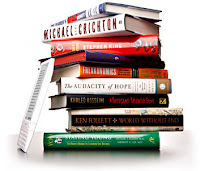 While there are a variety of e-book readers and some books are compatible with some others, Google recently launched a "cloud service" to facilitate the purchase and access of books from various vendors and by various e-readers: Google e-bookstore. Of the 3-5 million people with ebook readers, a good question has been raised, "Will the people who got them keep downloading e-books, and at what rate?" Mashable recently hypothesized on the future of e-books that they will evolve to become adaptive to your uses, whether that be learning, or in a book club. They imagine the e-book will be far more than text and will be video enhanced. They further made a prediction that the pricing of an e-book at $9.99 has a time stamp on it. With the enhancement of the content, will come a complexity of pricing and an evolving up sell business for additional features, chapters, and applications. Certainly we agree with the big picture of these, which makes sense for how-to books, business, and much of the non-fiction categories of books, but what of fiction books? Do fiction books have the necessity to become high-tech and adaptive? Knowing that human nature is resistant to change, can we assume that our population will be willing to give up the traditional paper books? Certainly it will not be an issue in that books will all be burned, but the possibility exists that the way paperbacks aren't always published after a hard cover release, maybe e-books may precede a paper release, that may or may not come. It is our belief that phasing paper books entirely will take longer than what seems inevitable. That is to say, while we will see the change is in the e-book, the paper books will not be going away as quickly or as easily as some might think. The writing is on the wall- no pun intended. The days of bookstores are numbered. At the closing Borders, all items, books, audio books etc were marked down to 40% a percentage that makes buying items at a bookstore debatable in relationship to the potential saving of buying items online. 45% would be the magic number of price reduction that books would have to be sold at in bookstores in order for it to still make sense to a customer. Because no bookstore, can survive after a 45% reduction of its profit, bookstores, will not outlive the rise of online sells. It is important to note that what will put bookstores out of business is not the e-book, as much as the market for books and book sales from one person to another, and from sites like amazon.com, craigslist.com and many more online. Future of libraries: When the Santa Barbara BORDERS was in its final days, I ran into the City Library Director, Irene Macias. How Perfect! We discussed much of what the future holds altogether for the writing/book industry. She shared with me the beginnings of libraries, regarding their scope and responsibilities, and the evolution of the services provided by the local library in tandem with budgets restrictions, especially as we all continue to brace through this crisis. She reminded me that the reason libraries first existed, and why they were a function of government, is that their primary responsibility was to distribute information made available to the public by the government. For the regular citizen or an early advocate, s/he would not have awaited legislation to be published in newspapers, they would have to go to the local library that was the sole recipient of the text of all government documents. (Library of Congress ring a bell?) Now with the rise of the internet and change in information, this is clearly no longer its primary purpose. The library is the hub for people to check out book. Not only do they check out the traditional 2 types of books, hardcover and paperback, Macias shared the changes it went through when they expanded to provide, audio books on tape, and later CD. Now, you can also check out e-books. Who knew? Right? (These e-books from the library are compatible with all readers with the exception of the Kindle and Sony e-readers) Money that has been earmarked for the purchase of books is being used, cleverly to purchase more e-books. 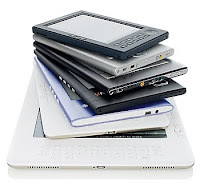 Surely with the rise in use of e-readers, customers- any resident of the city or in the library network with a library card can have access to these e-books. The only downside to these, Macias told me, is that "E-books, like physical books can only be checked out by one person at a time even if the digital copy can be used by many." 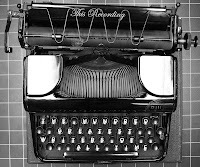 Macias, shared anticipation and excitement mixed with frustration at the Project Gutenberg, (which was just recently mentioned by the Time Magazine technology blog). Project Gutenberg is a "non-profit enterprise that creates files from public-domain books, then distributes them as widely as possible and for free." The frustration Macias expressed was with copyrights being extended continuously and for longer periods, therefore keeping a book from falling into the public domain. So, what does the future hold for libraries? Perhaps over a couple of generations, libraries will be dedicated to books in all the alternate forms, and only have a very small selection of hard cover and paperbacks. What is certain is that while bookstores will disappear, libraries won't. Of things we have read, we seem to stand alone in believing that publishing companies will become unnecessary and obsolete in the not too distant future. In contrast to us, Mashable predicted that "The real opportunity for publishers will be to develop e-books that offer the kind of interactive features mentioned above". They believe that publishing houses will play an even greater role in an e-book world. Commodity content is everywhere (and largely free), so high-quality vetted, edited content — which takes a staff of experts — will be worth a premium." The same way in which mobile applications are developed in exponential amounts every day, software, both for profit and open source will be even better develop to self-publish at the level of a publishing company. Because there will be so much information, new books and even more and more niches of readers, the value that publishing companies provided of marketing and distribution will no longer be appealing to writers, especially for the exorbitant price, of what a "large publisher" requires. One possible step toward the end of publishing companies, that will possibly extend their existence as mention by booksquare is for these publishers to be more generous with authors when it comes to sharing a bigger piece of the pie. It is further possible to believe that of publisher companies to survive, will have to be the largest ones, Random House and the like, if only because they have so many more authors and "celebrity" authors as clients and are well known, which means future forms of marketing will be easier for them to lead and stay on top of. Writing a book will become easier, yet getting attention will require far more than it has in the past. If we are in fact correct that publishing companies will become obsolete, then authors will- in conjunction with a team of web developers, social media experts and video developers -have to get together on a case by case basis to develop elaborate marketing materials. Take a look at this book ad that I Chris Brogan shared recently. Certainly this strikes me as the typical paperback $14.99 book but with an upfront cost and time that are far superior to what it had been in the past. 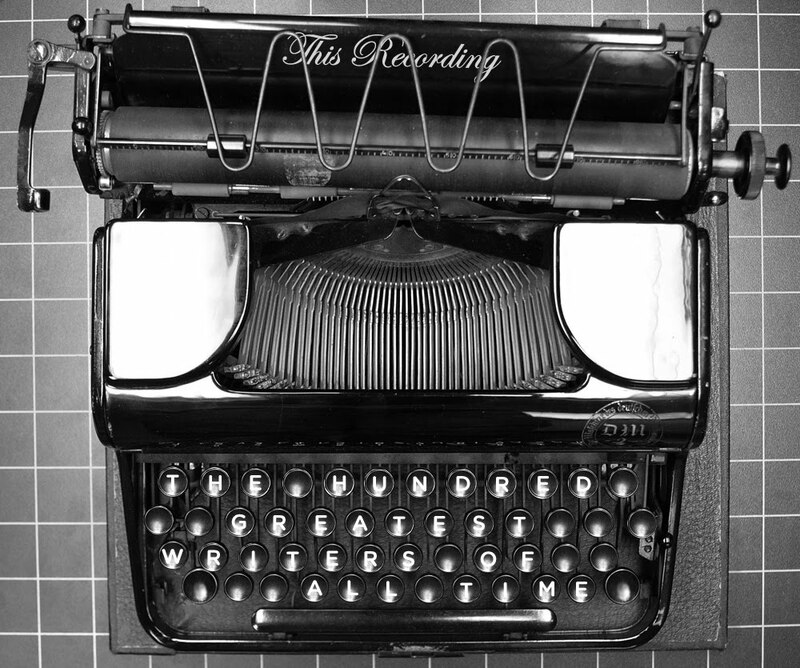 Of course, all writers will have to learn bits and pieces of the various types of media, but without a doubt, those that don't will be the first to "disappear" or fade to the background. Those are some of our thoughts, knowing what we know now. Anything could change tomorrow and our future could be on a completely different path. What are your thoughts?